St. Valentine's Day is still a couple of months away, but that doesn't mean there's not enough love to spread around at Hanayama headquarters. An original design by Russian Andrei Ivanov, the Cast Arrows will be a difficult heart to conquer. This is quite a captivating and intriguing design, one that truly manages to puzzle even the most brilliant minds... Well, not quite that hard, but still challenging enough to scratch a few heads. This is rated as a difficulty level 3/6 by the manufacturer, but to be honest, I'm more inclined to classify it as a level 4. 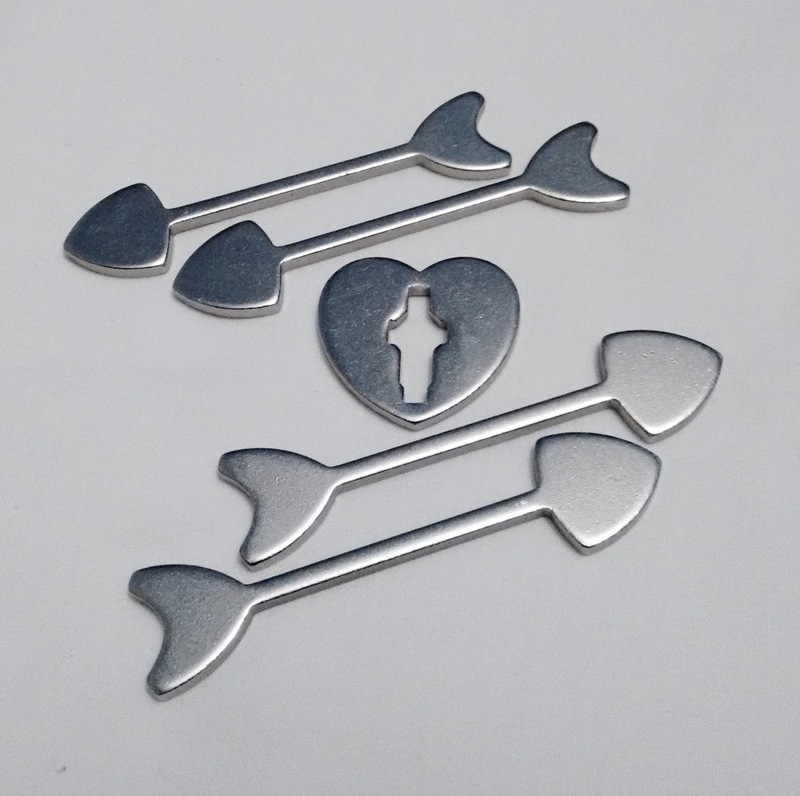 The puzzle is comprised by a set of four arrows piercing the central heart-shaped piece. They all look identical, but a close inspection will show you otherwise. There's an opening in the heart that let's the arrows move in a somewhat free way, but still narrow enough to keep you guessing how the arrows should be positioned throughout the solving process. This is why I think the puzzle is a little more challenging than advertised. Yes, it's not that difficult to figure out how to solve it. It's just that, the process in itself is more difficult to execute. It's not enough to make the puzzle frustrating, though. Once you solve it, it's quite a rewarding feeling. Putting it back together might also be quite challenging. Solution: You can download the solution here. The Cast Arrows is quite a unique design. It looks a lot like one of those impossible tricks where you try to figure out how the hell did they put it that way. It's a great puzzle to show to your friends and family, and to see how they react when you solve it. 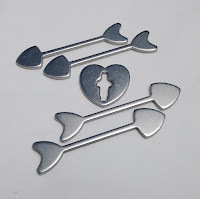 Availability: You can find a copy of the Cast Arrows at PuzzleMaster. 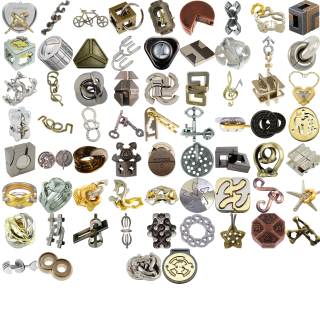 If you like Hanayama, check out the entire collection of Cast Puzzles. This was the question I raised on my previous article, but since there's no right or wrong answer, and each reader will have his/her own opinion on the subject, I will continue my effort to show you some of the best puzzle makers out there capable of designing truly stunning puzzles. My choice this time goes to an absolutely amazing type of puzzles, the Japanese Puzzle Boxes. Japan is widely known for sushi, manga, robots, karaoke, sumo, samurais, bonsai...I could be here all day naming all kinds of things that make Japan so awesome. And yet, to most puzzle enthusiasts and collectors all over the world, the Japanese Puzzle Box stands as one of the most fascinating and intriguing objects ever created in the Land of the Rising Sun. In Japan, these boxes are simply known as Himitsu-Bako (秘密-箱)...or in plain English "Secret Box". They originated in the Hakone-Cho region, Kanagawa prefecture, Japan, in the Edo period (late 19th century), and started out as souvenirs from the region. Their international recognition and appreciation, however, started only a few decades later, when the first boxes were brought to the west, firstly in US, in the 1920's. Since then, enthusiasts and collectors alike from all over the world have been fascinated and attracted by these magnificent boxes, contributing to their ever-growing popularity. They've become a symbol of Japanese perfection and attention to detail. To better understand the appearance and nature of a Japanese Puzzle Box, you must first learn about the tradition and technique of gift-wrapping called Tsutsumi (包み), which has been present in the Japanese culture since the Muromachi period (1336-1537). Usually, in the west, wrapping paper is discarded and not handled with care. However, in Japan, people take this tradition into high regard and cherish it as something with a deeper meaning. 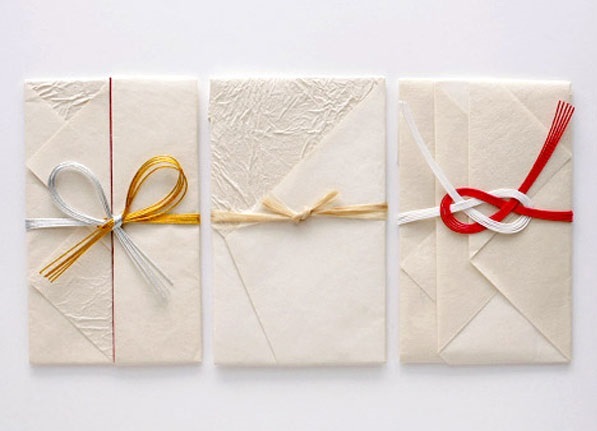 This art form uses a special type of paper or other traditional materials, and its presentation is as important as the gift itself, if not more. It involves folding the paper at different angles employing an assortment of styles reminiscent to origami, which makes no use of scissors or glue. So what's the relation between Tsutsumi and Japanese Puzzle Boxes? Well, it's all in the presentation. You see, a Japanese Puzzle Box looks just like a very well gift-wrapped box using the ancient tradition of Tsutsumi. The inlaid work is hand made using traditional techniques and regional materials, and the level of perfection, only attained by extremely skillful Japanese craftsmen, is achieved by binding together contrasting wood tones in a very thin layer above the surface of each box. The patterns are usually symmetric and different types of geometric designs can be seen in a single box, giving it a more classy and exquisite touch. The sliding mechanism works by concealing movable panels on the sides of the box. Because the panels are cut and put together with extremely tight tolerances, figuring out exactly where to find them becomes part of the puzzle. Subsequently, discovering the correct sequence of moves until you can fully slide apart and open the lid of the box is essentially the rest of the puzzle. There are more characteristics that define an original Japanese Puzzle Box, though, but only a select few possess them. You can find, for example, some boxes with detailed and picturesque images, mostly with charming natural landscapes or fauna from Japan. Others, seen more rarely in limited editions, instead of displaying the unique inlaid work, present a beautiful engraved image on the top side of the box. Japanese Puzzle Boxes come in many shapes and sizes, despite the traditional rectangular ones that are more widely available. Among the also relatively common cubic boxes, you can sometimes find other shapes, like pentagons, hexagons, triangles, stars, you name it... It seems there's no limit to the Japanese craftsmanship and creativity when it comes to designing these incredible boxes. 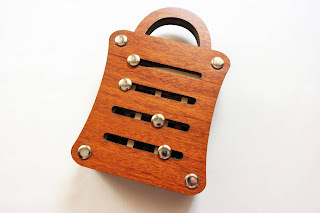 The puzzle boxes also vary a lot in size, and generally, but not exclusively, this is closely related to the number of steps required to open them...and their price is also very much related to the size. A box can range between 2 and up to 1500+ moves, frequently in a sequential order rather than random. Too many moves doesn't necessarily mean it's more difficult than a box with slightly fewer moves. It just means that the sequence for the solution is a bit longer. In Japan, one of the most common units of measure is the sun, used for lengths, and its origins come from the Chinese cun, also a unit to measure lengths. 1 sun is approximately 3cm (1.19"). 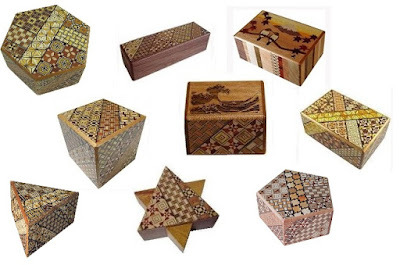 The smallest Japanese Puzzle Boxes are called mame (miniature) and measure between 1 and 1,5 sun. The largest ones, however, it's not exactly clear how large they can get, but the biggest one I've seen so far is 12 sun, or 36cm (14.17"). 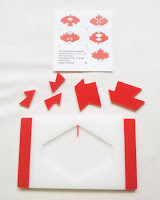 Today, you can easily find on the Internet plans to build many kinds of Japanese Puzzle Boxes. 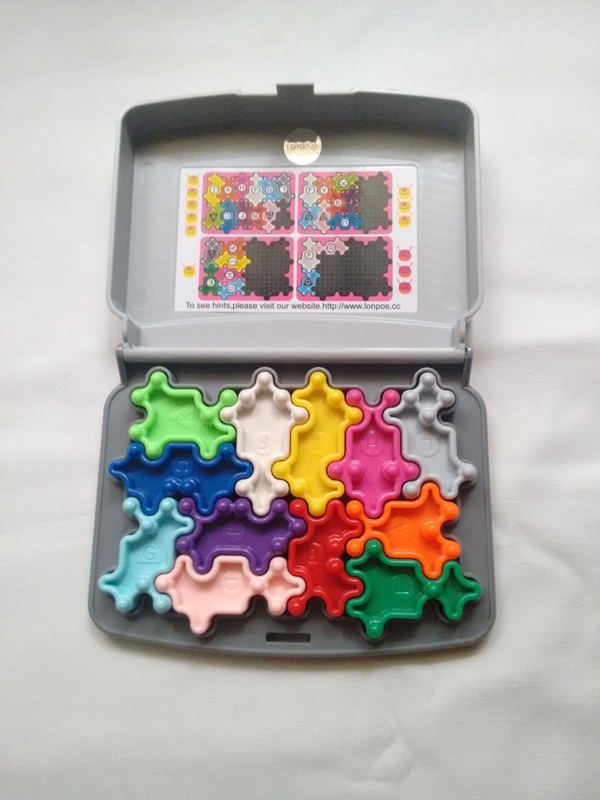 This type of puzzle has become so popular that anyone with the right tools, materials and some craftsmanship skills can make them. Notwithstanding these facts, any puzzle box that isn't built by a Japanese craftsman with Japanese materials cannot be called a Japanese Puzzle Box, no matter how well it's built. There's nothing like an authentic and original Japanese Puzzle Box. Whether you're an avid puzzler or merely a curious mind for everything that demands creative thinking, the love and appreciation for Japanese Puzzle Boxes remains common to all of us, the respect to all the Japanese craftsmen that have made an effort in these last couple of centuries to continue the tradition of such a beautiful craft. Availability: You can find many of these beautiful Japanese Puzzle Boxes at PuzzleMaster. What better way to commemorate an IPP (International Puzzle Party) than a puzzle dedicated to the city that hosted the event? 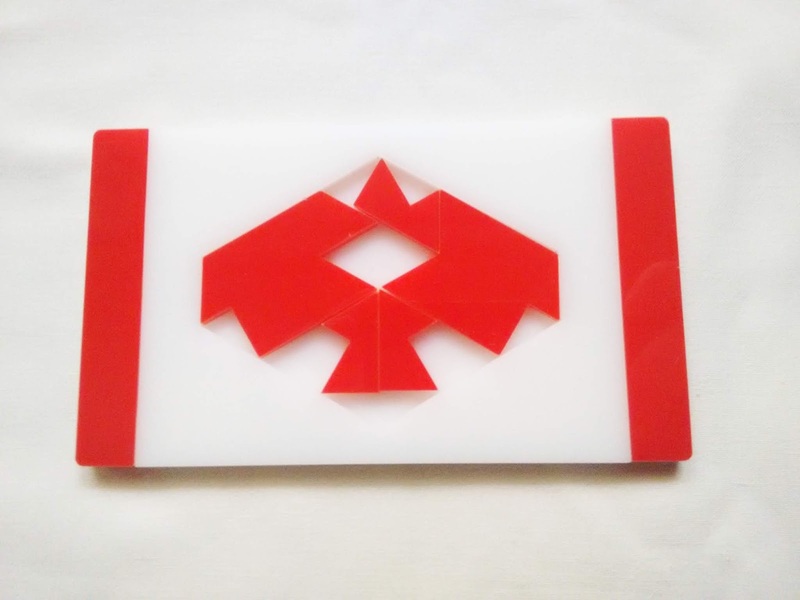 Vladimir Krasnoukhov did exactly that with his unique design called Ottawa Puzzle for the IPP 35, held in Ottawa, Canada, in 2015. 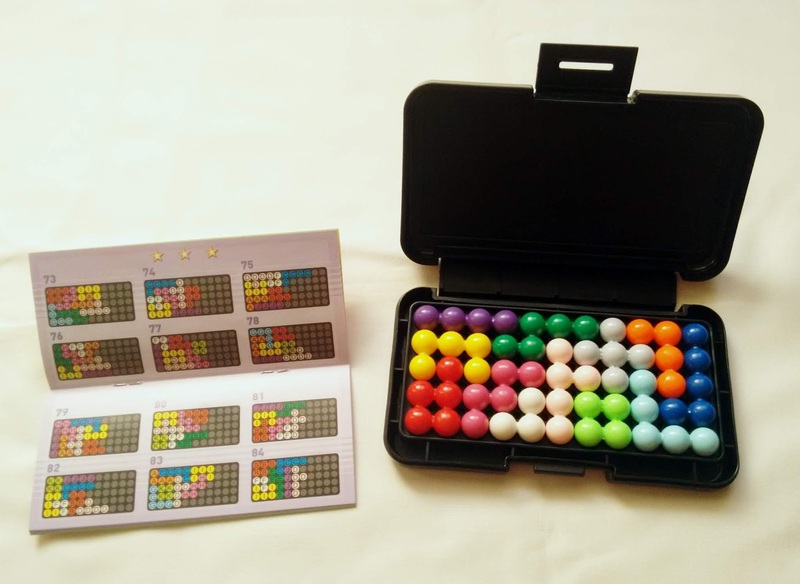 This is a great puzzle for those that really like packing puzzles. 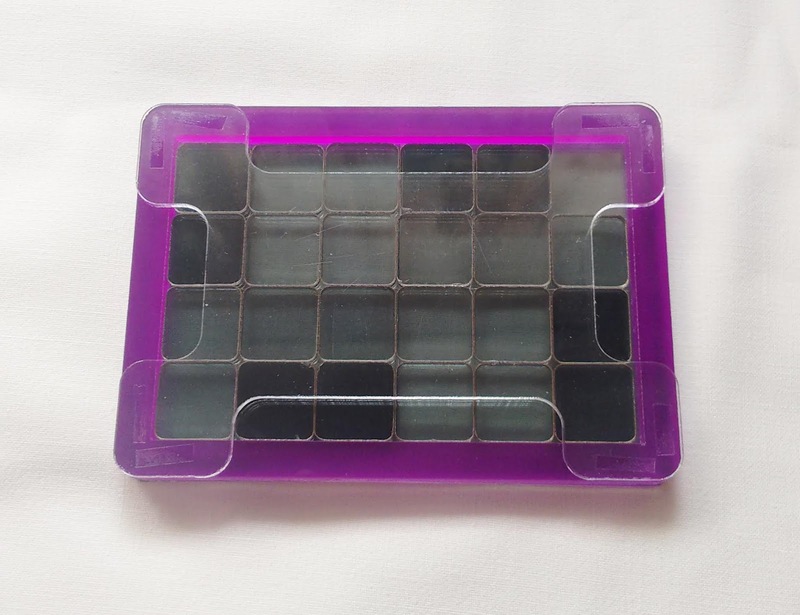 It's a simple design made with only five pieces, three of them identical. 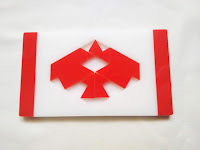 The goal of the puzzle is to make the shape of the maple leaf, as seen in Canada's flag, by rearranging the pieces inside the frame. The presentation of the puzzle is flawless. 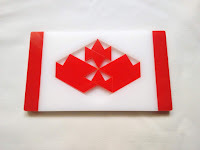 Made from acrylic, in red and white, it measures 12.9cm x 7.4cm (5.1" x 2.9"). The acrylic gives the puzzle this clean and gorgeous look, much like glass, but easier to build puzzles. The frame is odd-shaped, which at first makes it difficult to visualize how the pieces might fit inside, but soon you'll adjust to it. The shape of the pieces don't help much either, as the goal is to make an overall symmetrical shape. This will certainly put your visualization and spacial skills to the test. 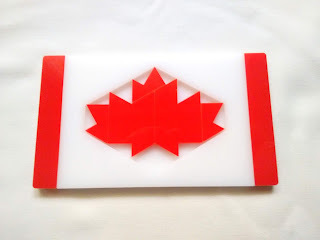 There's a few other challenges as well, besides creating the maple leaf. I always love when puzzles give you more than one challenge to solve. 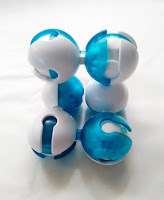 These will help you to see how the pieces interact with each other to create other designs. The solution itself is not that difficult. The challenging part is to arrange the two big pieces in the tray in order to fit the other three small ones. Rated as a level 7/10, I believe this is the correct classification. It's a bit challenging, but an experienced puzzler should solve this in less than 5 minutes. Not much playtime for a puzzle, but as mentioned, you can make other designs with the pieces. It might be even possible to create other shapes besides the ones already shown. The Ottawa Puzzle is a nice little puzzle for most puzzlers. It's not crazy difficult, which would frustrate beginners, but still fun to solve for anyone who likes packing puzzles. 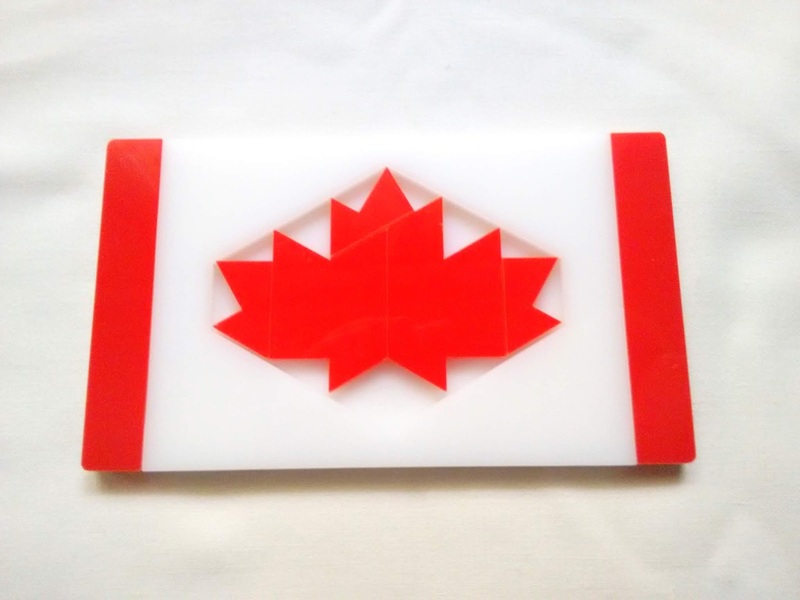 This would be a great gift for a Canadian friend or relative. 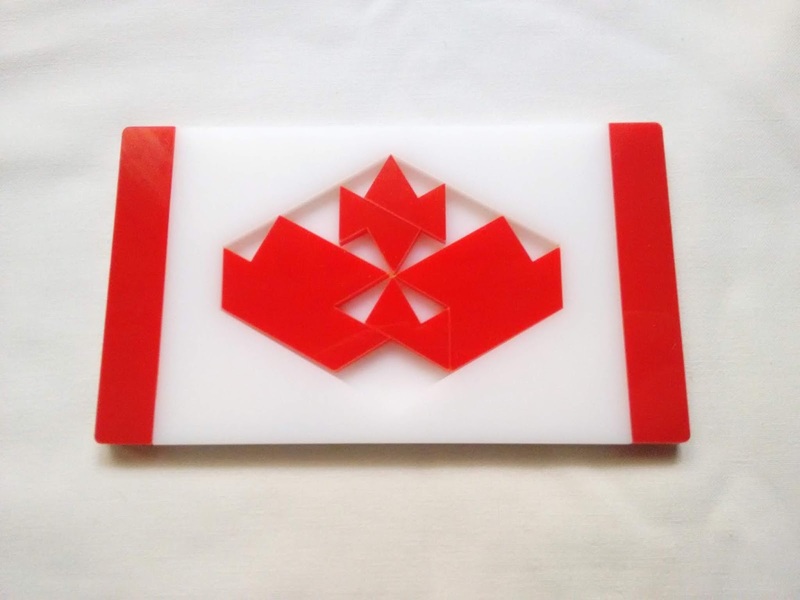 Availability: The Ottawa Puzzle is available at PuzzleMaster for $24.99 CAD. If you like, you can check out other interesting puzzles from Vladimir Krasnoukhov. When you think of a padlock and how to open them, the first thought that comes to you is "with a key", right? 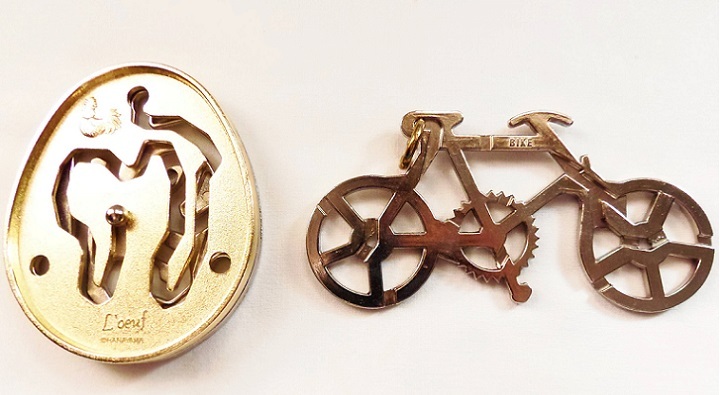 Almost any traditional padlock comes with a corresponding key in order to open them. The key is unique to that particular padlock and can't open any other, just like a regular lock. 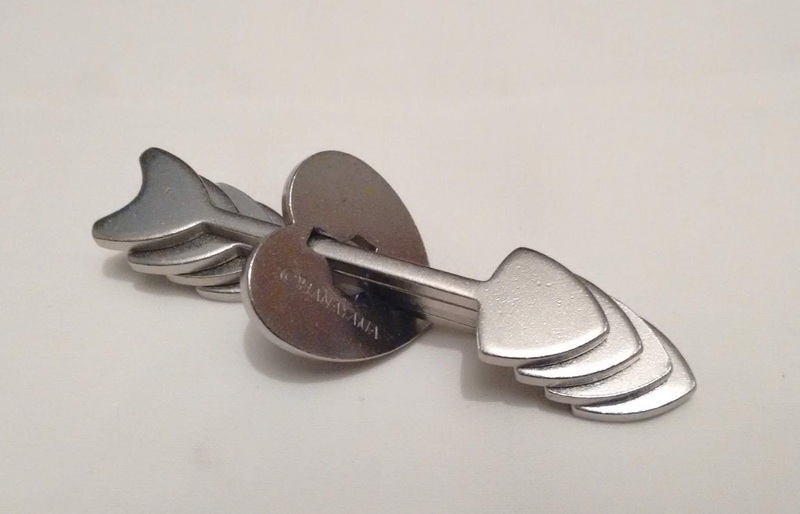 What you may be surprised to know is that Jean Claude Constantin's new puzzle lock, the Schloss 250, doesn't need any kind of key to be opened. Instead, it will need a person with lots of patience and attention. 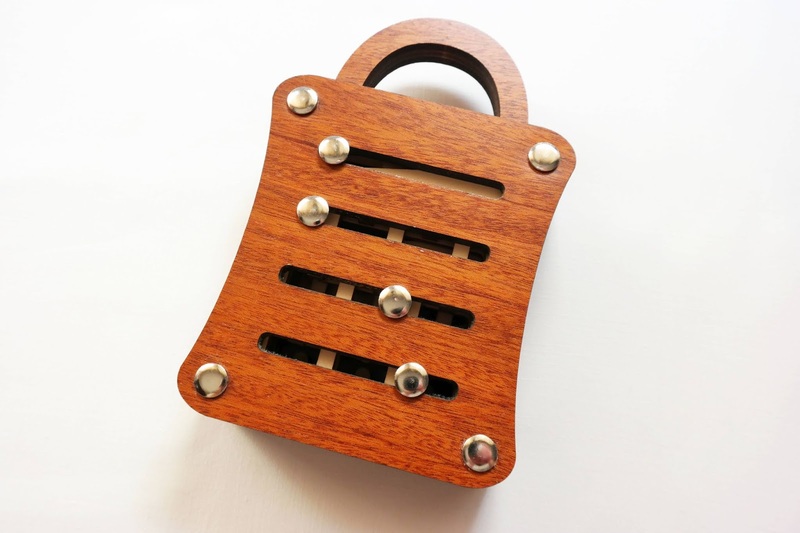 Imagine, a padlock without a key. That would be great, because you could open it without worrying about losing its key. But, there's a downside with this puzzle lock. To solve it, you'll need at least 250 steps - hence the name of the puzzle - which can take a while to open it. 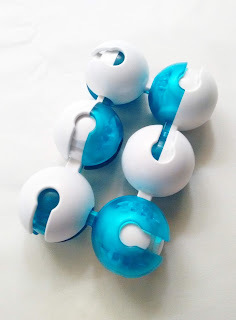 However, it's a perfect way to keep something of value locked, since it would discourage any thief from attempting to rob you, lest they would get caught with the hands in the cookie jar. The Schloss 250 has a robust body made of laser-cut wood. Four pins are held in place in the middle and stuck between the four wooden plates that cross the lock from one side to the other. The pins can only be moved from left to right, but you have to unlock their path with the correct sequence. The movement of the puzzle could be better, because it can be stuck sometimes and you risk losing your concentration. Other than that, it's very well made. The solution is simple, but at the same time, complex. This seems quite an incoherent thought, but it's actually true. The solving process implies the use of recursive mathematics, which means it has a specific set of rules that will repeat after a while. While it can be complex due to the number of moves needed to solve it, and also extreme concentration, once you understand the repetitive nature of the solution, it becomes very simple. This is a puzzle belonging to the group of 6-ary (remember that binary has only two states, 1 or 0), which means it has six different states. Understanding this notion will help you a lot in solving this challenging puzzle. The Schloss 250 by Constantin is a true test to anyone's patience. With its whopping 250 steps, although it can take you more, only the most courageous will succeed in solving this fiendish puzzle. Availability: PuzzleMaster is the place to get this great puzzle. If you want a less challenging puzzle or any other from Constantin, you can browse his available puzzles. 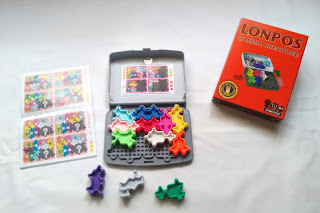 Lonpos - Cosmic Creature is a puzzle game with almost 30 years. 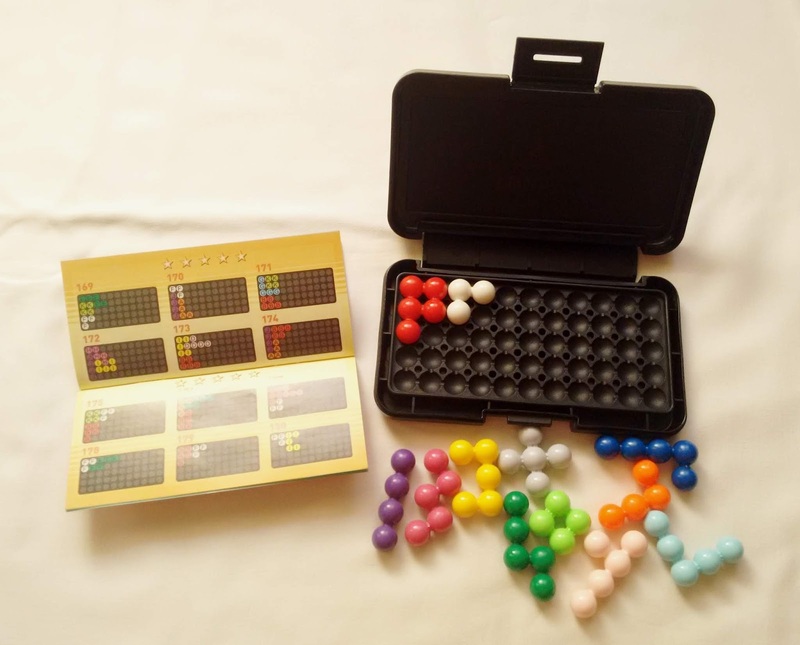 Developed in 1989 by Lonpos, this game is one of the best logic games in its own right. Today, we see so many different logic games, we forget which ones came first and which ones were responsible for this popular type of puzzles. Lonpos is a very difficult puzzle. No sugar-coating here. If you like a great challenge, this is the one for you. It does start off pretty easy, as you'll only need to place a couple of pieces in the first challenges. But soon enough, the difficulty gets exponentially tougher, since more and more pieces are going to be necessary in order to fill the game's tray. Cosmic Creature, as the name suggests, features 12 irregular pieces, each in a different color, and they do look like creatures you'd see in a cartoon or a comics magazine. SmartGames issued a version of this game recently, and with good reason, because it's a great puzzle game. I also reviewed it a while ago, here. It comes in a small travel box, convenient to play anywhere, anytime you choose. 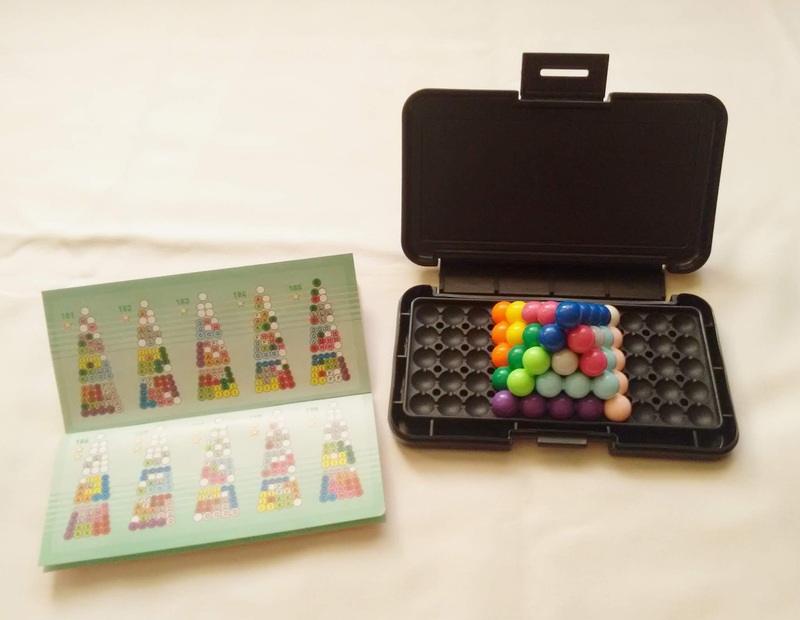 Comes with a booklet filled with 111 puzzles, divided in 8 levels of difficulty. One thing that recent logic games have been doing, and kind of spoiling you, is that always come with solutions. Well, not this one. You're completely on your own. You do get a little help in the form of hints, if you follow the official website, but it doesn't help much, as they only give you the position of another piece. It's a bummer if you really get stuck in a particular puzzle, but take my advice: if you're stuck, just move on. Try to solve another challenge in the meantime and come back to that one later. You may find that this will help you a lot, and more often than not you'll end up solving it, eventually. This is a type of puzzle that requires lots of patience and much trial and error. Many times, you'll see that there's only one piece left to solve the puzzle, but the only way is to remove a few more pieces and try again. With practice you'll become more familiarized with the piece's shapes and it will get easier to visualize potential solutions. It's a great rewarding feeling. Availability: Lonpos - Cosmic Creature is available at PuzzleMaster for just $15.99 CAD. Check out other puzzles like Lonpos. If you've been following my blog for some time, then you'll know that Packing Puzzles are one of my favorite type of puzzles. I love to have something in a somewhat chaotic state and to rearrange it in order to reestablish order. It's one of the reasons I fell in love with puzzles about 10 years ago, and it's still what drives my passion for these objects. It's no wonder then, that Lonpos was instantly a favorite of mine. With just over 200 challenges to solve, both in 2D and 3D, you'll be occupied for quite some time. 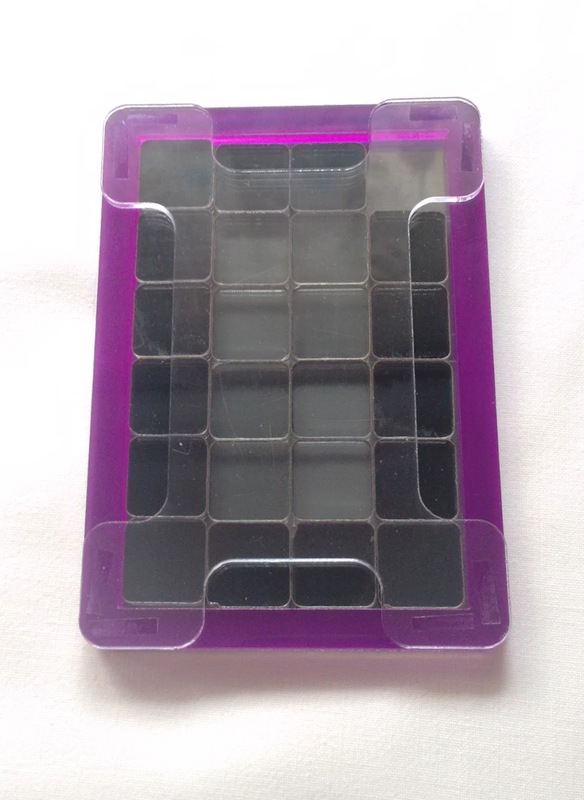 It comes in a neat compact box with lock, very convenient to take with you on the go. The box also functions as a tray to play the challenges. Accompanying the game is the booklet with the challenges. No solutions are provided, though, so you're on your own to solve every challenge without any help whatsoever. 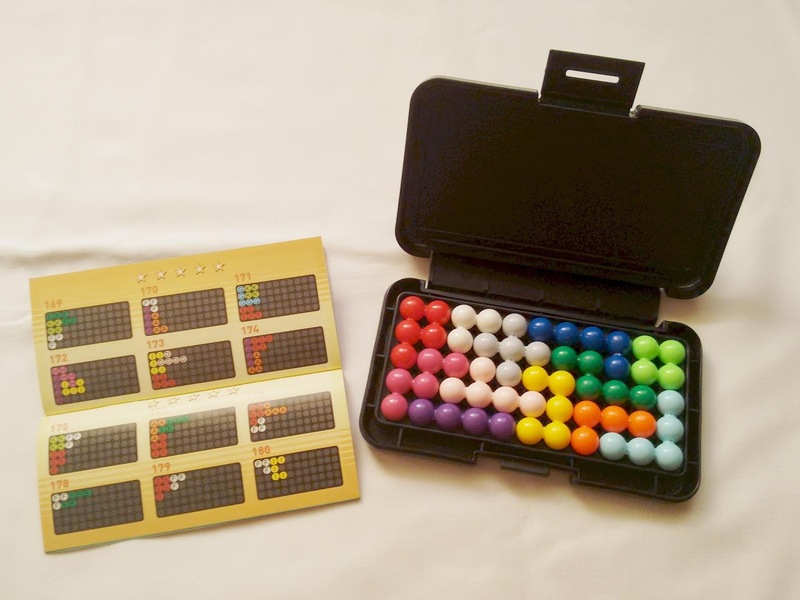 The puzzles are distributed by difficulty, so you can start easy and progress as you feel more confident. 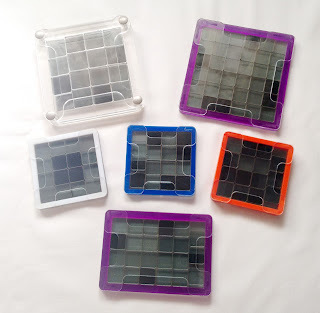 There are 12 pieces, each with a different color and shape to be easily spotted, and they can be a combination of three, four or five units in a unique configuration. As mentioned above, you can play in 2D or 3D, depending on what you like most. I personally prefer the 2D puzzles, but I also found the 3D puzzles quite fun to solve. The challenges start fairly easy, with most of the pieces already in place, and your task is to fill the tray with the remaining pieces. As you solve progressively tougher challenges, you'll start with less and less pieces until it becomes very difficult. There are 180 2D puzzles and 20 3D. 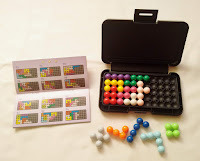 Many puzzles may have more than one solution, and for a more advanced challenge, you can even try to make your own puzzles. 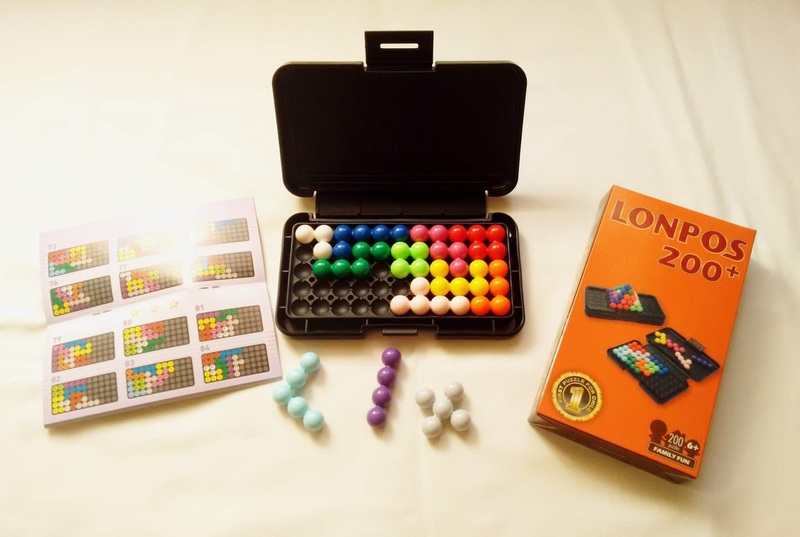 Lonpos is a fantastic puzzle with huge amounts of fun crammed into a little box. For a packing puzzle enthusiast, this is a must-have. With dozens of puzzles to play with, you'll get your money's worth ten fold. Highly recommended. Availability: You can get your copy of Lonpos at PuzzleMaster for just $13.99 CAD. Check out other interesting Packing Puzzles. It is said that if you speak English you are pretty much set to get understood all over the world. While that may be partly true, learning another language, especially if you're visiting a new country, goes a long way when speaking to locals and fully enjoy what that place has to offer. My native language is European Portuguese, and I consider English as my second language. Although I could be satisfied by knowing these two languages, it's still quite limited in today's open world, where the internet is a vast resource of information in many other languages. Over the last few years I took Spanish in my free time as a self-learner, but I didn't use much tools to learn. I resorted heavily on translators and that took time and was too cumbersome. I eventually learned enough to consider myself as an intermediate level speaker, but I still have quite a long way to go if I want to be fluent. In addition to French, which I learned in school for five years, I recently took an interest in learning Japanese, which is probably one of the most difficult languages in the world to learn. Add to the fact that I'm doing it on my own as a self-learner without a tutor, the learning curve will be very steep, indeed. In the pursuit of having the ability to learn how to read Japanese Manga and understand Anime without relying too much on subtitles or the dreaded dubbed versions, I believe I can achieve that goal with dedication and perseverance. The more tools I have at my disposal for this monumental task, the better, and this is where Mondly, the language app comes in to the rescue. Mondly is a language app like no other. It is very complete with 33 different languages and thorough with the resources it gives you for your studies. You'll be able to find everything you'll need in order to climb the fluency mountain that much easier...And faster. The presentation is very user-friendly and intuitive, with all resources available at a swipe of the finger. The app runs smoothly and fast without any hitch. 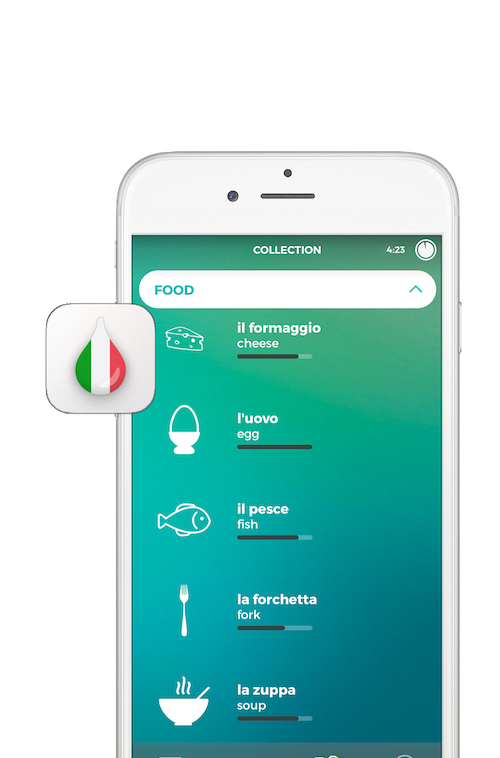 The app has many vocabulary categories with real-life situations like in a restaurant or a hotel, but also just as important, the grammar. And here, you'll have many lessons available to help you achieve a better understanding of your new language's rules. One key factor of these lessons is that you'll see the grammar and vocabulary applied to everyday situations in complete example sentences, and narrated by a native speaker. You can tap to select individual words in the sentence to know what their specific meaning is, and also very important and helpful in your learning, you can see the verbs that are being used conjugated in the Past Tense, Present, and Future Tense. In addition to the sentence examples, you'll see many professional and real-world photographs to help you visualize the words and terms you're learning. Other interesting features include a way to study past lessons to help you keep your long-term memory fresh, and a chatbot, where it simulates a real chat conservation with proper questions and answers you can do in a written or spoken way, so you can practice your pronunciation. At the end of each week, a quiz will be available if you came back everyday of that week, and if you complete all weekly quizzes, a monthly challenge will also be available. These two features really make you feel like you're accomplishing something with your studies, and it's a way to reward you for your hard work. To help you have some fun while learning at the same time, you'll be able to enjoy a few classic features you are accustomed to seeing in a videogame, like for example leveling up and compete in leaderboards. Points you earn by doing daily lessons help you climb the leaderboards and beat the local opponents and friends or take on the global students to see how good you are doing. You can also redo the daily lessons as many times as you want, and you should, in order to retain the new vocabulary. In the process, your level'll level up pretty fast. Mondly has a free and a premium plan. If you just have a few minutes to spare everyday, you can do the free lessons that are available daily. If you are a more dedicated student, a premium subscription will unlock all 1000 lessons and conversations, as well as 5000 words and phrases divided into 55 conversational modules. You can have a recurring €9.99 monthly subscription, or pay for one year in advance at a much reduced cost, at €47.99 (€4/month). Mondly is more than just another language app. It really helps you in your studies to master the language you're learning. If you are a dedicated student and really want to learn, this is one of the best language apps in the market right now. And my Japanese is improving daily! Availability: Mondly is available for iOS, Android or any computer with an Internet browser through the official Mondly website. (Click to Enlarge) - Above: How the lessons are presented; Middle and Below: Rest of available categories. Hanayama Cast Puzzles - The Best Mechanical Puzzles of All Time? I've been a blogger for over eight years now, and one of the perks of this hobby is that a lot of people write to me on a regular basis, whether it's to exchange ideas, commenting about a particular post, or simply to ask questions about these wonderful objects we like to call...mechanical puzzles. One of the questions I was asked a while back got me thinking about puzzles in a different way, looking for characteristics and special features that distinguish them from the average-looking puzzles. - "What company/craftsman makes the most beautiful puzzles?" The question couldn't be simpler, but the answer, however, is very subjective and will vary greatly on the person who answers you. Nevertheless, the query didn't deter me from trying to come up with a good response - After all, I love to discuss all things puzzle. Mind you, the topic is about the most beautiful puzzles, not the best - Although some puzzles can belong to both categories. Since there's no definite answer for this question, and the exercise would be a moot point if I were to stick with one single entity, I will try to enumerate several unique key points inherent to that subject, in a series of articles (each focusing on a different company or craftsman) and let you, the reader, decide for yourself. 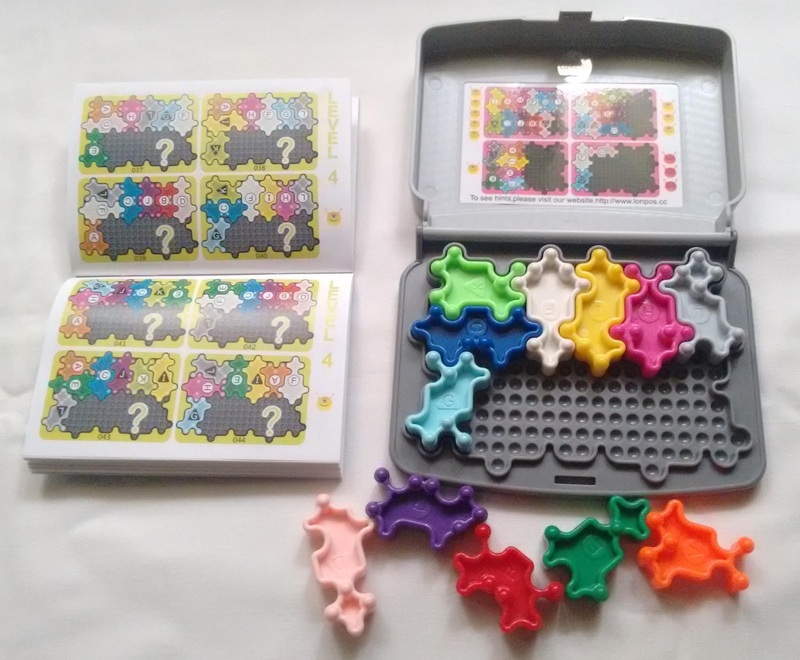 So, what better way to start this series of articles than with one of the most recognizable puzzle brands in the world, the Cast Puzzles from the Japanese company Hanayama? 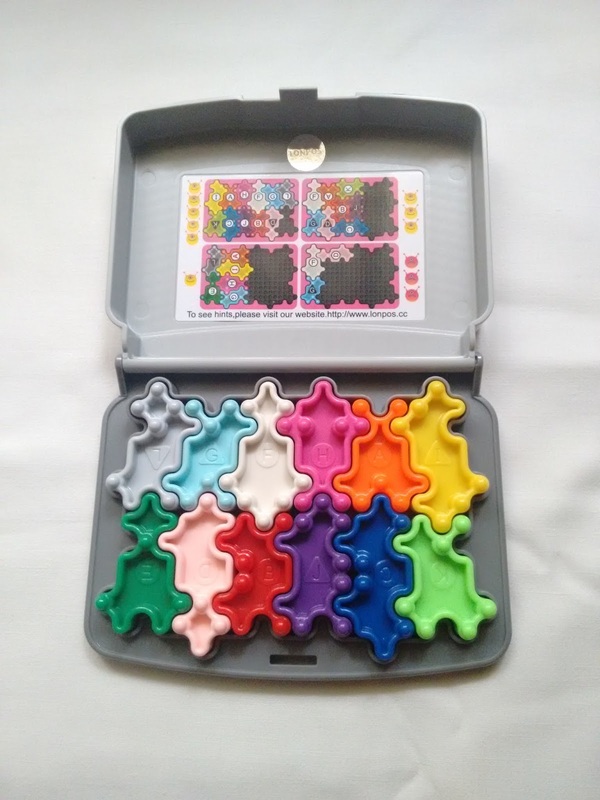 If you ever visited a puzzle store (online or a physical shop), chances are you've probably seen a few of these Cast Puzzles, also because they're always the featured brand. Believe it or not, Hanayama is not just Cast Puzzles, although that's what gets them the most recognition within the puzzle community. But why are Cast Puzzles so popular and so high in demand? What makes them so appealing and fascinating, or put simply, so beautiful? One short answer would be that they're not just puzzles...they're works of art. They're an expression, a product of their designer's creativity, genius and inventiveness. At first sight, some of them don't even look like a puzzle at all. Each Cast Puzzle is carefully chosen after much consideration and only the most talented designers can aspire of having their designs picked up for that coveted metal-cast version. Most of the puzzles that Hanayama adds to their ever-growing catalog are presented in the annual IPP (International Puzzle Party) by their own designers, but not necessarily in metal, because in many cases they're yet to be acquired by the Japanese company. Frequently, although not surprisingly, a lot of these designs end up winning awards, which adds up to their prestigious reputation among the puzzle community. The story of the Cast Puzzle series begins in 1983, with the launch of the first three puzzles: Key, ABC and Star. Curiously enough, it's the year I was born, so maybe that's why I like them so much. 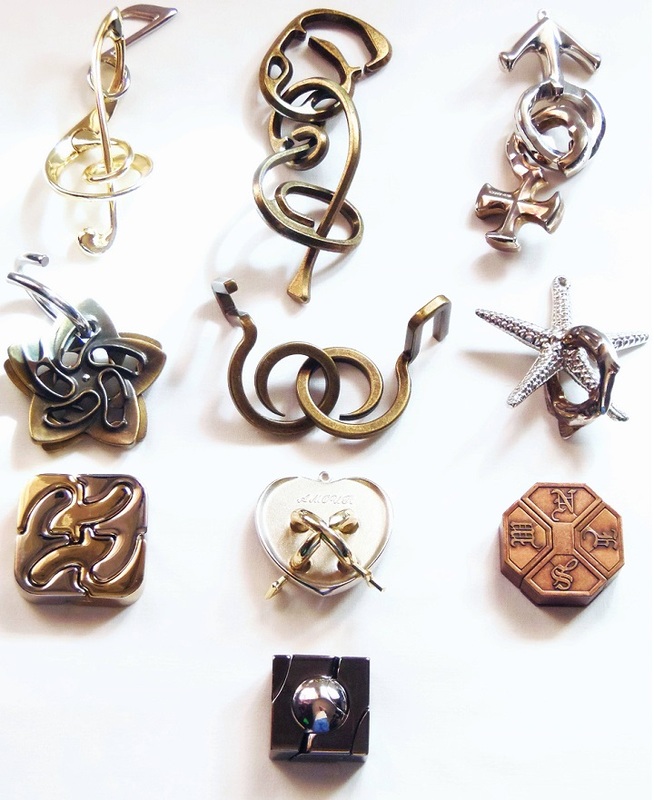 Since then, Hanayama has been releasing an average of 2 puzzles a year and now totals over 60 different designs. Now, any good article that talks about Hanayama and doesn't mention Nobuyuki Yoshigahara (a.k.a Nob) is not complete or it's inaccurate. Nob is the father of the Cast Puzzle series, developing new designs and improving existing ones when they didn't met the company's criteria (the three puzzles above were developed by him). Over the years and up until his passing, in 2004, he was responsible for bringing many other designs to the Cast Puzzle family. He also influenced lots of other designers to share their ideas and concepts, thus enriching the company's catalog, like Oskar van Deventer, Akio Yamamoto, or Vesa Timonen, who are among the biggest design contributors. 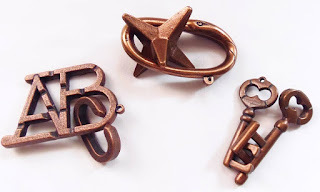 The name Cast Puzzle derives from the actual process used to manufacture each and every single puzzle, and considering they're made from cast metal using only different combinations of alloys and coatings, the variety of colors and surface types is rather impressive, to say the least. 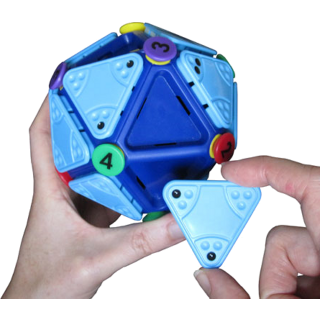 A typical Cast Puzzle is usually quite small - smaller than a regular Rubik's Cube - and fits comfortably on the palm of your hand. There are exceptions, though, as you can see from the Cast L'œuf. Since it's made entirely out of solid metal - no hollow parts - its weight feels often times surprisingly heavy. 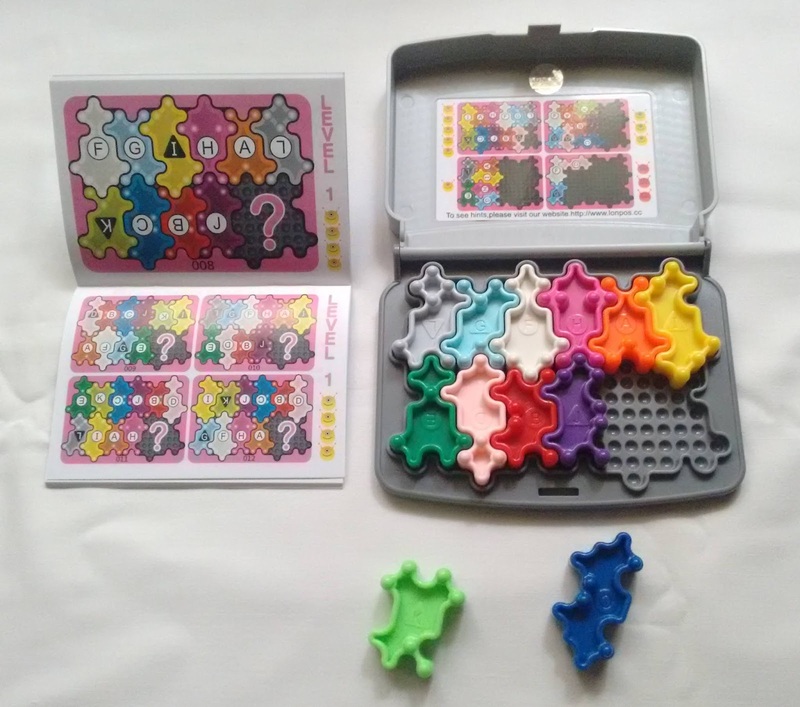 A regular Cast Puzzle doesn't follow any specific design rules. Some are beautiful and exquisite representations of already known objects or animals, like the Cast Seahorse or the Cast Violon; others are completely abstract, like the Cast Radix or the Cast Baroq. Hanayama simply doesn't overlook any detail and 99% of the puzzles don't show any kind of imperfections. There seems to be a common rule among all Cast Puzzles, however. A requisite, if you will: their solution is never straightforward, but always ambiguous, cryptic and vague. The goal of any Cast Puzzle is elementary: take apart and put back together again. It doesn't get simpler than this...And yet, some are extremely difficult to disassemble and even harder to reassemble. To make matters worse, Hanayama doesn't include a solution with their puzzles. You're on your own to try and figure out how to solve them. Each one has its own theme, its own personality, as if they were telling you a story of how they came to be and how you should approach them. Fewer words can often say more, and in this case it couldn't be truer. 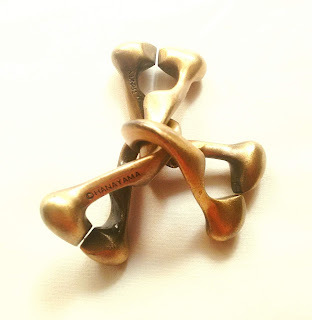 One word is exactly what you get from Hanayama to solve their puzzles. The Cast series have been increasing in popularity over the years, but not just among puzzle fans. 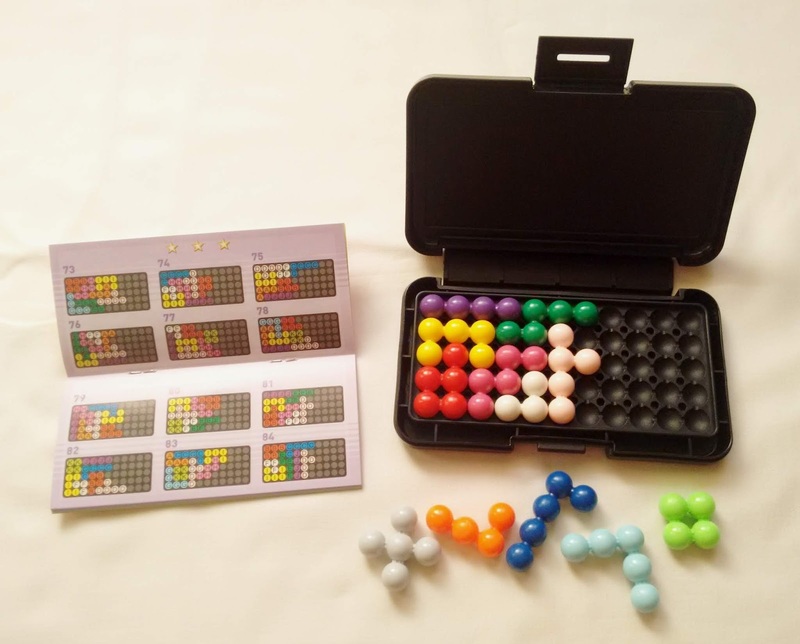 Non-puzzlers also seem intrigued and tempted by these enigmatic objects, mostly because a Cast Puzzle is a type of brainteaser that promotes discovery and exploration, a careful analysis of all its parts, and that's innate to any curious-minded person. They can have the ability - probably more than any type of puzzle - to get anyone addicted to them. They're the perfect object to get everyone involved and engaged in a social gathering with family and friends. 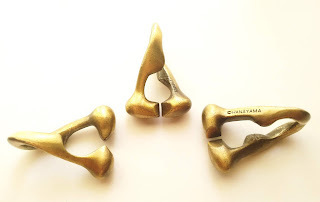 You'd think that all these premium features were exclusive to a very expensive type of puzzles, but that's actually another explanation for why Hanayama's Cast range is so popular - They're the best and most beautiful puzzles that $12 can buy. It is said that beauty is in the eye of the beholder, and therefore subjective to one's taste...Be that as it may, for over 30 years now, millions of beholders seem to agree with one thing: Cast Puzzles are fascinating, charming and eye-catchingly beautiful masterpieces that need to be experienced in order to be fully appreciated and enjoyed. It would be an almost impossible task to choose just one Cast Puzzle, so I have gathered below 10 of my favorite ones. Availability: You can get any Cast Puzzle at PuzzleMaster, or if you're crazy enough, why not buy the whole set. Learning a new language can be described as like solving a difficult puzzle - There are a lot of pieces around and you need to find them and put them in the right place in order to solve it. This daunting, and sometimes overwhelming, task can be quite discouraging and stressful at the beginning, but the more pieces you find, the more everything starts to come together. The process of learning a completely new language can be either boring or fun, depending on the tools you're using. The bottom line is that if you're not having fun, you're doing it wrong. And this is where the app Drops comes in. Drops is a language learning app that makes the otherwise tedious learning process, fun and engaging while playing word games, which enriches your vocabulary in an effortless way. All this in bite-size sessions that have a minimum of 5 minutes a day for free, or any time you like if you go for the premium option. 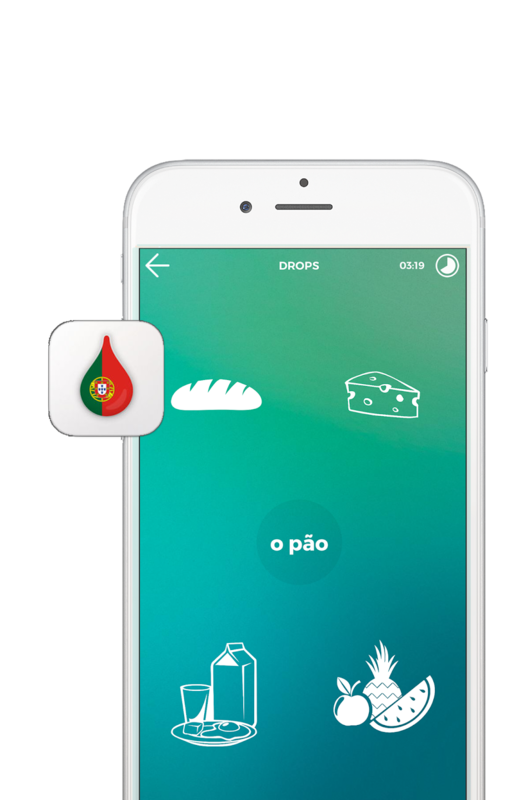 The app features over 30 languages, of which I'm learning Japanese (the easiest of the bunch...), and the words are categorized by specially curated topics that range from Foods to Animals to Music to Sports, etc... Anything related to daily life, you will find represented here. The app's presentation is what really shines here and what makes it so immersive and fun. The design is simple and clean, but effective and practical. The topics are well organized and easy to access at a distance of a "swipe". Besides the main feature, you also have two other interesting features that you can access if you decide to go for the premium: the "Tough Word Dojo", to master those complicated words that are hard to memorize, and of course, all the words that you've already learned or at least appeared to you in previous sessions, can be accessed and reviewed in the "Collection", which features an illustration alongside its definition. 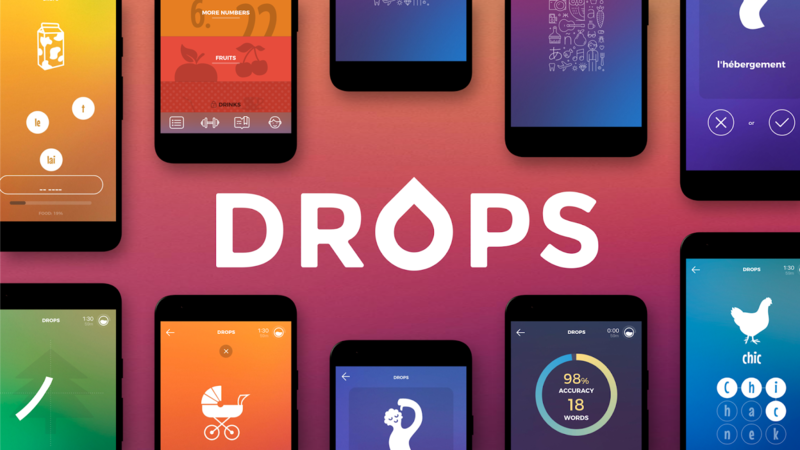 The concept of Drops, which lends its name to the app itself is brilliant. 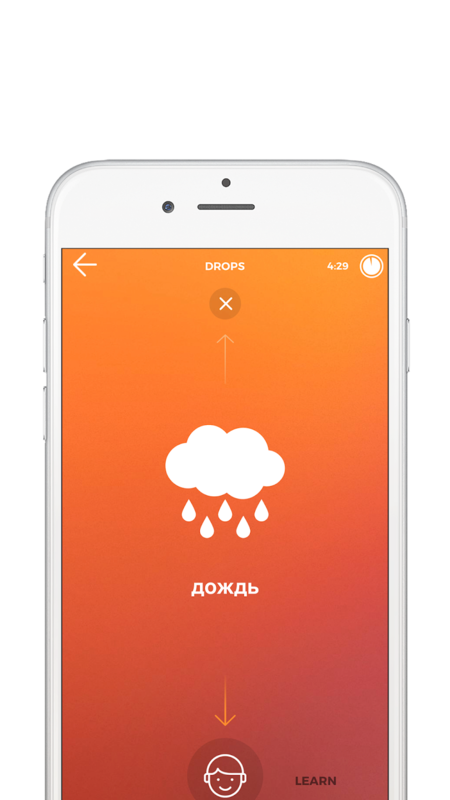 New words drop from the top of the screen in a sort of bubble accompanied by an illustration that describes that word, and here you have two options: either drag down and drop it to learn it or drag up to skip it if you already know it - Simple as that! After this, you play several different short games to help you memorize that word until the next one drops. The games can be as simple as dragging the word to its corresponding definition to a "word search", where you have to connect all the right letters that form that word. Another game consists of choosing which of the two words (the left one or the right one) is the correct definition. Each game only lasts a couple of seconds, but that's enough to get your brain going. Closing Comments: While Drops is not a dictionary or a grammar book - and it's not trying to be one - it can be a truly helpful tool in complementing your studies. 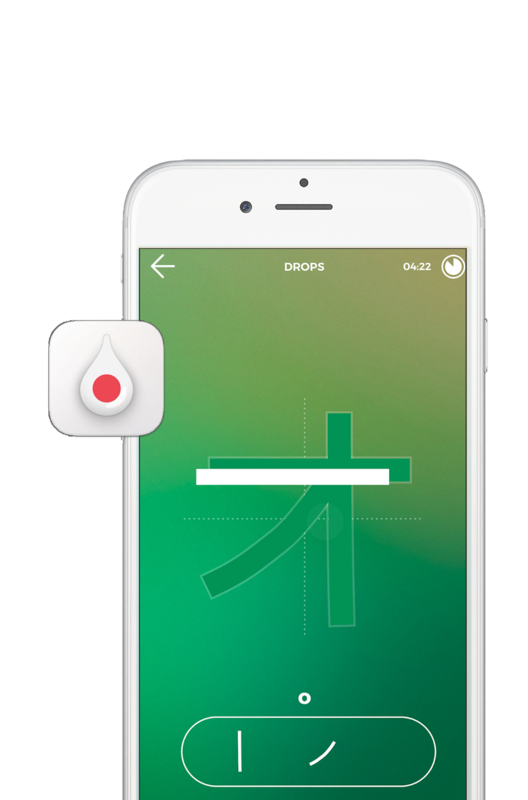 Whether you're taking a break from your classes or just brushing up your vocabulary, Drops will fill that need. In the end, with each new word you learn, you're getting that much closer to fluency. After all, learning a new language is like finding the ultimate key to decipher a previously coded message... And it's so deeply rewarding. It's that time again... Another Cast Puzzle, another adventure. And what an adventure the Cast Trinity is. This is one hell of a challenge, and it's not by accident that it won this year's IPP 38 Jury 1st Prize. One thing that I have to mention though, is that I prefer the look that it had when it was presented at the IPP, with the three distinct colors (copper, silver and gold). It look absolutely gorgeous. Hanayama went for a more subdued presentation, with just one color (bronze) for all three pieces. Designed by Kyoo Wong, the Trinity, as its name suggests, is comprised of three similar pieces, although at close inspection they each have unique features. At the starting position all three pieces are interlocked with each other, so separating them seems quite a complex task. It's rated by Hanayama as a level 6/6, and I completely agree with them. The design is very elegant, maybe sort of reminiscent to a mixture of the Cast Radix and the Cast Baroq. 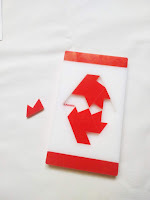 The Cast Trinity does have one thing that is quite unusual for a Cast Puzzle, and that's because it has multiple combinations you can make with the three pieces. With that, you're not limited to a unique solution, and that's a good thing. If you mess up the original configuration, it's not like that's the only one you can make. I think this makes it a tad easier than say, the Cast Vortex (one of the hardest Cast puzzles ever, in my opinion). But, it's only slightly easier. It's still a very difficult puzzle to solve. Just like any other interlocking puzzles of this nature, the Cast Trinity is probably even more difficult to put together. When you're taking it apart, you don't notice the order that the pieces are separated, but putting it back together should follow a certain set of movements. I'm still trying to put it back to its original state, but I'm no closer to it than when I started. The Cast Trinity doesn't disappoint in any way. Looking at it, you'll know immediately what awaits you - a great challenge. Maybe the color choosing by Hanayama could've been different, but that's just a minor observation. If you like tough puzzles, you can't go wrong with this one. Availability: The Cast Trinity is available at PuzzleMaster for $15.99 CAD. Check out the store for others in the Hanayama Cast Series. Ever since the invention of the Rubik's Cube there have been countless toys that tried to replicate the success it had, all that enthusiasm around it. It's difficult, however, to replicate not only the success but also the era that made it all possible. Today, we have many distractions, not only in the form of other toys, but other forms of entertainment as well. Many possible Rubik's successors may pass under the radar because not many people knew about them to begin with. This is, in my opinion, what may happen to Bram's Magic. 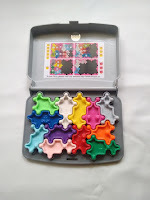 A one of a kind toy/puzzle that may be a victim of today's many distractions and a saturated market. Put Bram's Magic in the golden 80's and you could've witnessed a major icon being born. Unfortunately, we're in 2018 and Bram's Magic is just another novelty among others. Nevertheless, that shouldn't put you off trying one of the best puzzles I've had the pleasure to play with in the last 10 years. It's that good! Bram's Magic is the combination of the brilliant work between two geniuses in the puzzle community, Bram Cohen and Oskar van Deventer. If you love puzzles and you don't know who they are, you probably have been living under a rock for the past 15 years or so. They're two of the most prolific puzzle designers in the world, and this puzzle may be their best work yet. 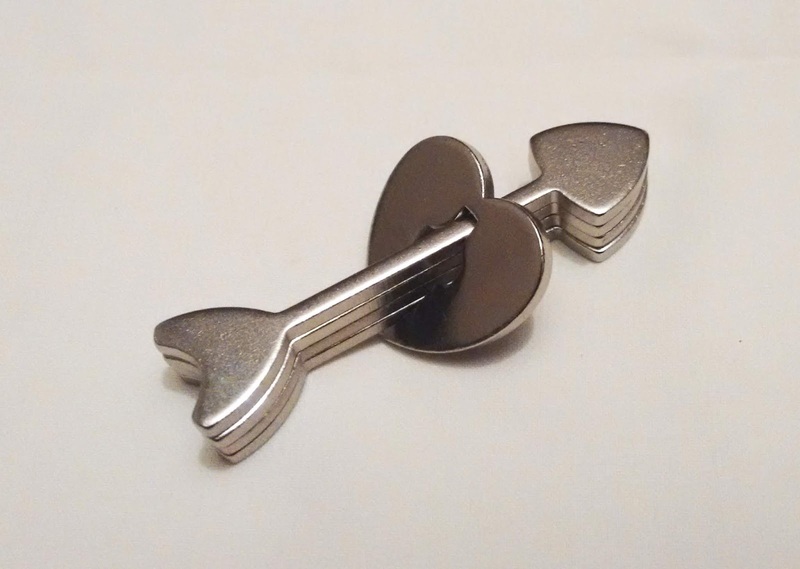 This lovely invention has everything you could ask for in a puzzle: a challenge; fun to play with; easy to understand; flawless and smooth movement; and most of all, hard to master. And yet, once you pick it up it'll be very hard to put it down. Its mesmerizing twisting movement, combined with the shapes and patterns you can create, make for a very satisfying experience, indeed. 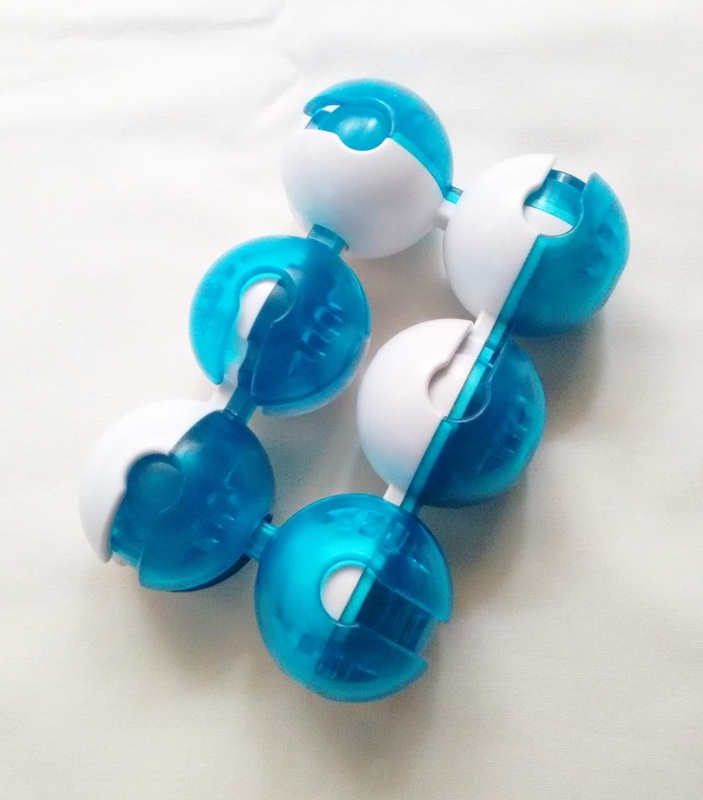 Like any other good puzzle, there's a main goal between all that fun, and that's to try and get one of the sides all white and the other all blue. Sounds simple enough, but that's actually as hard as a puzzle can get. You'll need to understand the puzzle's movements and patterns very well before you can attempt this daunting task. One simple movement and all your previous hard work can be undone in a matter of seconds. You have to predict what a specific movement will do - what shape you must go for in order to get the pattern you want. This is one really tough puzzle... But darn if it isn't fun! Bram's Magic is so good, a genius couldn't come up with it on his own. That's why it was invented by two geniuses. If you don't like a tough challenge, you can just play with it as a fidget toy... for hours on end. I know I've been having a great time with it. Highly recommend it to anyone, even non-puzzlers. Availability: Bram's Magic is available at PuzzleMaster for $24.99 CAD. 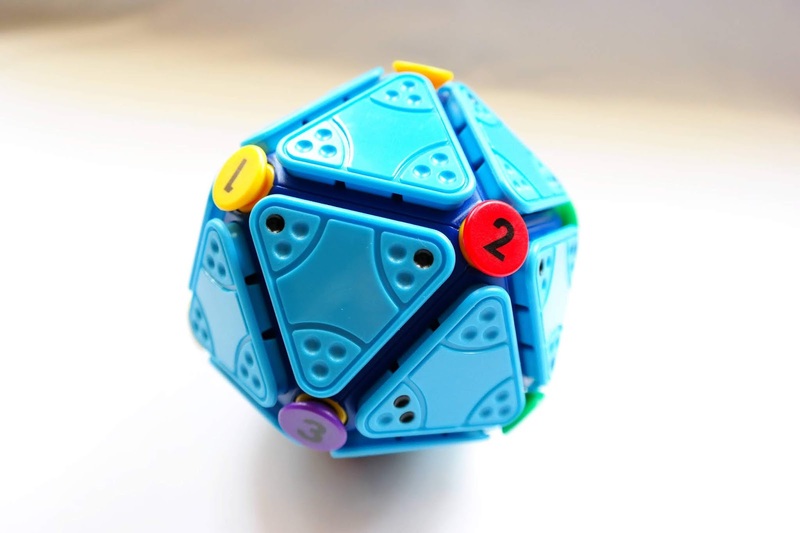 A similar and cheaper version is available for $19.99 CAD, made by ThinkFun.